Our selection of hotels showcases the best of Porto downtown. The Congress secretariat negotiated special rates with some Hotels, available for participants of QUIS 2017. To benefit from preferred rates, you will have the possibility to book your hotel room while registering to the congress. A limited number of hotel rooms is available. All rates quoted are available for standard rooms during the period of the congress, all other dates are upon request and subject to hotels availability. All rates are in EUR and include breakfast and local taxes, valid if pre-paid. If the hotel of your selection is already sold out or if you require different dates, please contact us to tania.rodrigues@abreu.pt, and we will be pleased to help you. A word of advice, Porto is buzzing with visitors, and the demand for accomodation is very high, especially in the warm summer months. As such, please book your rooms well in advance of the conference. Head to our registration page to register in the conference and book one of these hotels. In the 18th century, lavish balls were held here and dignitaries plotted political coups. Now The NH Collection Porto Batalha is a state-of-the-art hotel that’s retained every bit of its age-old splendor. It is set in a beautiful 300-year-old palace in the heart of the city’s ‘golden triangle’. head for cocktails and tapas at the legendary Galeria de Paris. 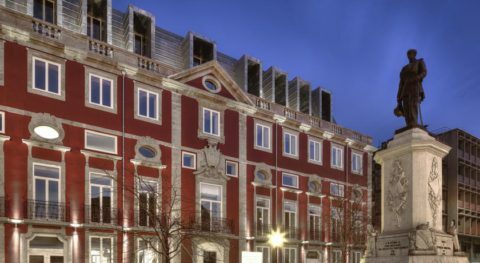 Hotel Infante Sagres, member of the “Small Luxury Hotels of the World” is a truly unique hotel located in the heart of Porto’s historical district, two steps away from the city’s UNESCO World Heritage area. A refuge in the heart of the city; they are tasteful, individually decorated with original artwork and award-winning furniture. The hotel’s suites are decorated with genuine antiques, making them true museums and offering a unique lodging experience. Charm, sophistication and hospitality make it one of the most welcoming hotels in Portugal. 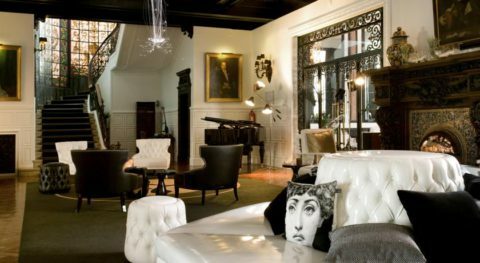 Located at the city center heart the Hotel Teatro, which arose from the spot where the Baquet Theatre was inaugurated in 1859, recreates the unique, refined and bohemian environment of the Theatre. 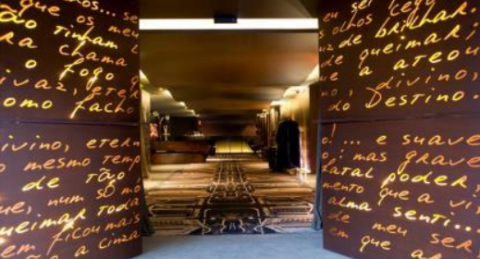 The doors of the hotel greet visitors with the poem by a great Romantic poet of Oporto – Almeida Garrett. 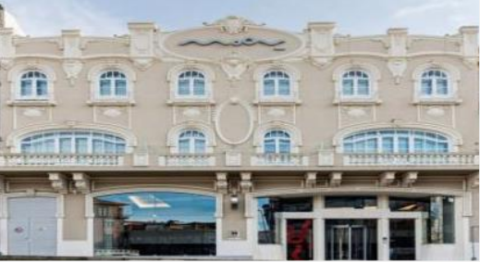 Moov Hotel Porto Centro offers modern rooms with free WiFi. Porto train and metro stations have connections to Porto Airport, and are within a 3-minute walk from the hotel. The modern, acclimatized rooms at Moov Hotel Porto Centro are decorated in soft colours and feature black and white photographs. Each has a desk and a private bathroom.